The project entitled Online Application for Salon Management System with Mobile App Support is a cloud-based technology for managing hair salon. 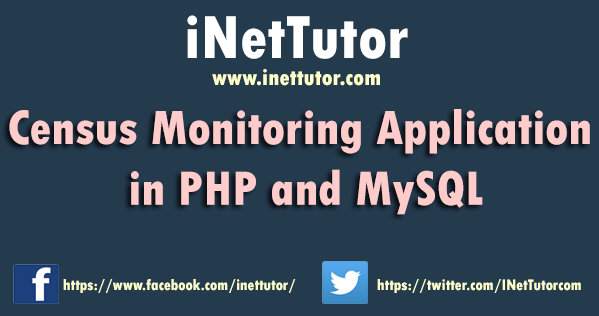 The application is designed and developed using web technologies such as PHP and MariaDB for the backend programming and Bootstrap for front-end or for the design and interface of the project. Aside from being an online application, it is also compatible for mobile devices because the design is responsive. 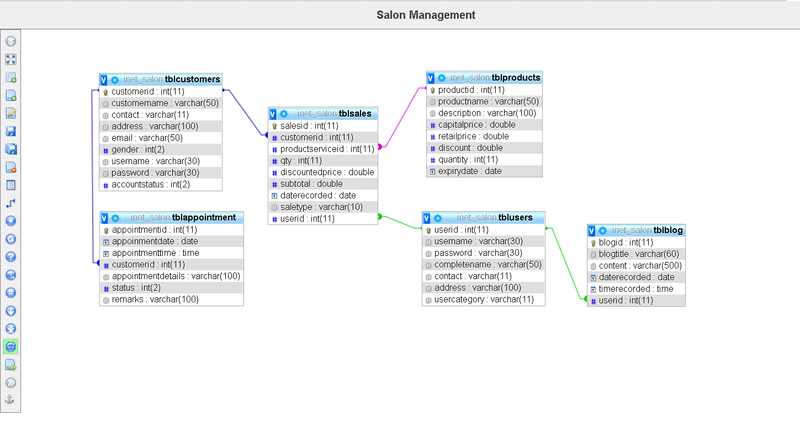 Online Application for Salon Management System with Mobile App is the solution to upgrade the manual method of business transaction between the management and the customers. The said project will cover appointment scheduling, billing for customers, customers records management, integrated point of sale and inventory module, mobile access, reports management and database maintenance. 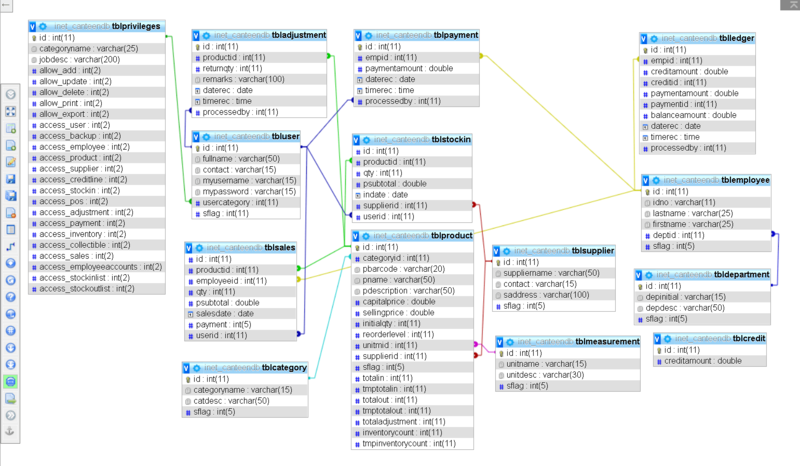 The detailed description of the system modules will be discussed further in the System Features section of this article. 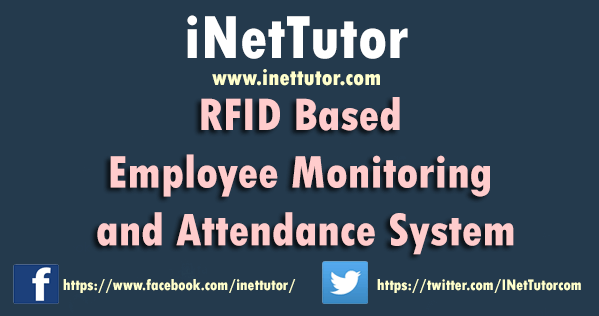 The project entitled RFID Based Employee Monitoring System was designed to monitor the employees with much easier and greater accuracy of records. The person whom assigned for monitoring doesn’t need to check every office because with the use of RFID, the employee will be automatically detected inside their corresponding stations. It works more convenient and effective than manual processing. With Database System, it will help to organize the management of records of the monitoring of the employees; input information and releasing of hard and soft copies of the reports. 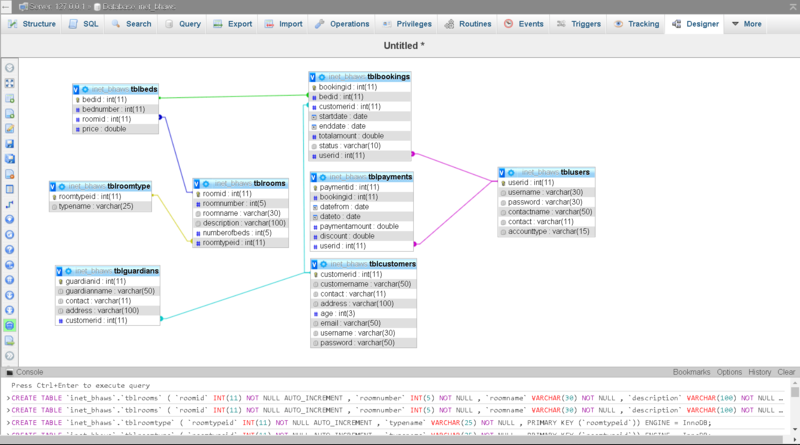 With this, it could help the user to do the task accurately with fast and better processing. The main purpose of this system is to aid the Public Libraries in managing and monitoring the transaction of books. It will also keep track of the incoming and outgoing of books in the public libraries. 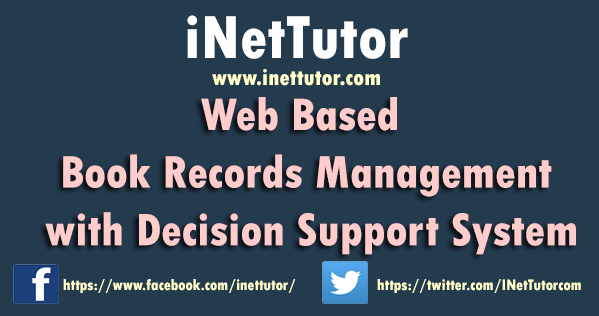 Book Records Management with Decision Support System for public libraries is a web based system for which provides detailed information about the books and the whole process of recording. It gives accurate and efficient information that is reliable and complete. This requires records management solutions to be integrated in Public Libraries during requisitions, releasing and receiving of books. And with the help of the Decision Support System (DSS) this system will decide either how many percent of the books to be release to a particular school that requested or hold request of books by a given time before the approval. The Web Based ELearning System provides for teachers to introduce educational learning which focused on Basic Science and Health. Teachers assist to their students on social aspects, knowledge about the Basic Science and Health by using this educational software so that the children could easily adopt the type of environment in their learning particularly on their subject in Basic Science and Health. 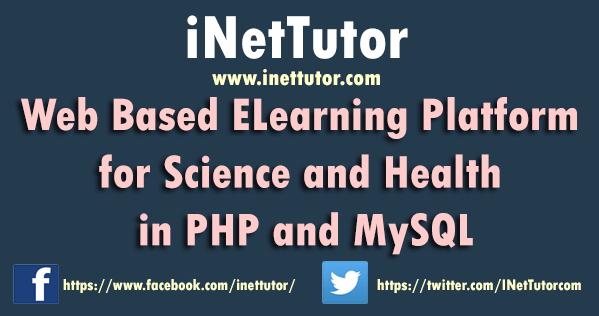 Web Based ELearning System is accessible in the web. The teacher stands as administrator of the said learning software. This eLearning system design to a user oriented field of study that focuses on meaningful communication of media through cyclical and collaborative processes between people and the technology. ELearning system design has simple and clearly defined goals as to the learning of the students, a strong purpose and intuitive interface. This software design assets distinction, interaction design can be taught of as making devices usable, useful, and fun, focusing on the efficiency and intuitive hardware. 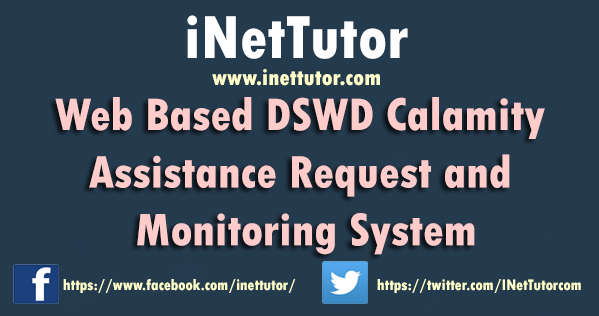 The project entitled Canteen Sales and Credit Management System was designed and developed using Visual Basic and MariaDB. It is a system that will run in Local Area Network or LAN. Canteen Sales and Credit Management System is a study intended for the store owners of the cafeteria inside the school canteen. Sales and Credit Management are the two most important features that were incorporated in this project since this will help and improve the business process of the store owners especially in tracking and monitoring the credit line of their customers. Most of the canteen store owners are still using pen and paper method in recording their sales as well as the debt/credit of their client which is very prone to errors. Inventory management is also a big problem since they are using a manual process, which is why monitoring of stocks, and items are very troublesome and the reports are not so accurate. Boarding Houses provide low-cost accommodation to some of the most marginal and disadvantage members of our community. Residents occupy a precarious position in the private housing market, are generally of low income and many also have physical, intellectual, social and psychological difficulties which affects their everyday functioning to varying degrees. In the continuum of housing security, living in a boarding house is an insecure and commonly inadequate option, and there is increasing acceptance nationally of a definition of homelessness which categories residents of boardinghouses as ‘tertiary homeless’. Census by definition is the compilation of records such as demographic profile, poverty profile, economic profile, social services and facilities etc. in order to get the census data of the community they need to conduct a survey to get the information they need. Census Monitoring Application is an advance and automated process of managing the census monitoring in a certain community, to let go the manual process such as, hand written documents, keeping records inside the drawer that tends to lose some records. It is automated in such a way that all records of census monitoring can be keep and search via browsers. This system will facilitate management by enabling the clients/residents to just search the web site and enjoy all the information about the census monitoring. The project entitled Jewelry Sales Accounting and Appraisal System is a web based project designed and developed using PHP, MySQL and Bootstrap. This project is intended to replace the manual process of sales, accounting and appraisal for Jewelry shops. The said project is an example of ecommerce platform that is specifically intended to jewelry items and the likes, it also includes the basic features of an ecommerce such as cataloguing of items, the virtual caddy or the shopping cart module, the checkout feature that will allow the customers to input the billing address and as well as the payment option. Back office system is also incorporated in this project which means that inventory and sales monitoring can be generated anytime, anywhere. Every day, people need reliable information to improve the standard of living to come up with the correct solution in solving complex problem in schools and in society. Having sufficient and reliable information can boost confidence and security to every individual. An information kiosk is one of the many sources of information to the people. In information technology, a kiosk is a small physical like structure (often including a computer and a display screen) that displays information to people walking by. Like in North America, kiosks are commonly seen near the entrances of shopping malls, schools, and public amusement parks where they provide people with directions and specific information offered by the kiosk. There are different kinds of kiosk; like interactive kiosk, electronic kiosk and information kiosk. All these provide different services. 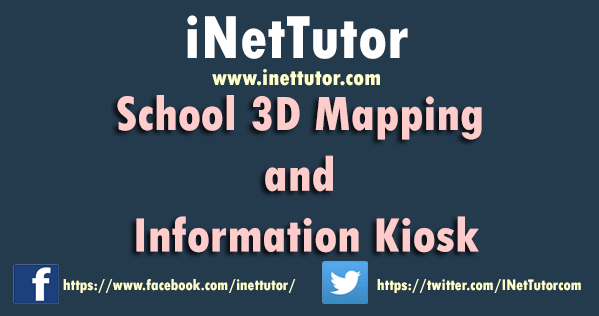 SCHOOL 3D MAPPING AND INFORMATION KIOSK is one of them, it is designed to provide students and visitors the sufficient information about the college and it accommodates users to interact with the system. 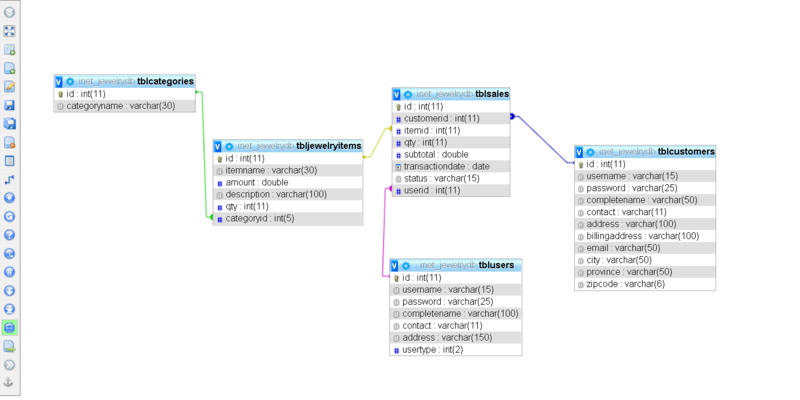 It performs different functions where users can ask questions, get directions, search for information they needed. By the use of computer, there’s no area where information kiosk cannot be used for a better user satisfaction. The beneficiary/donors can register to the system and then the admin will approve its registration.